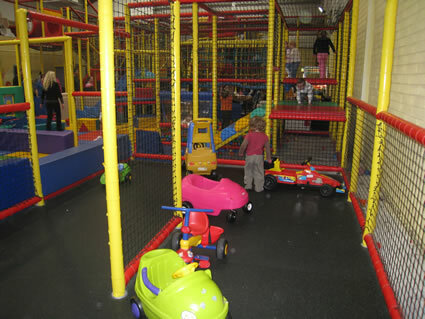 We have 2 separate soft play areas, one for babies and toddlers and one for older children. Both frames have a variety of slides, ball pools and other activities. we also have a car track cars, train tables, brick tables which offer additional play experiences for your children. 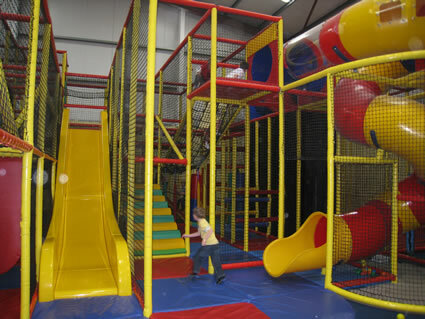 Happy Days Adventure Play Centre is suitable for all age groups – even mum and dad can join in! Great exercise and great fun! While the kids are having fun, take time to relax on our comfy leather sofas with complementary newspapers and magazines. Why not enjoy a latte/cappuccino from the café, afternoon tea with cream scones or a panini with the choice of a wide variety of fresh local fillings at competitive prices? A full deli is available with a range of paninis, baps, bagels, hot food, tea, coffee & soft drinks..
Thursday - Sun: 11am – 6 pm & School Holidays + Bank Holidays. Special outside hours by arrangement. Parent/Guardian must remain on premises at all times. Thursday & Friday mornings 11am – 2pm - special reduced prices for parents and toddlers of 4 euros for 1 ½ hours play.